Also including facts and figures about Asia’s most hospitable commercial environment, this article explores the buying process in Singapore, from the benefits of business brokers to structuring the deal. Few countries in the world offer a more welcoming environment to businesses – big and small – than Singapore. The city state scores highly on most measures that matter to entrepreneurs, according to a wide range of authoritative sources. Surpassed only by New Zealand it ranked second overall in the World Bank’s Ease of Doing Business rankings for 2018. Forbes rated Singapore as the 12th best country in the world for conducting business. The World Bank scored the country particularly highly for enforcing contracts (second best globally), protecting minority investors (fourth) and paying taxes (seventh). The only areas in which its performance is less than stellar is in getting credit (29), resolving insolvency (27) and trading across borders (42) – and even then, the World Bank has noted that the country is undertaking meaningful reforms in the latter two areas. It also scored favourably on Transparency International’s Corruption Perceptions Index 2016, ranked as the seventh least corrupt country globally and the only Asian nation to make the top 10. It has the third-highest per-capita GDP in the world in terms of Purchasing Power Parity (PPP). Naturally, then, Singapore is not a cheap place to live, although you’d surely expect to find it higher than 27th on Expatistan’s cost-of-living index. This city-state of more than 5.6 million people is very much an export-led economy. Consumer electronics, IT products, medical and optical devices, pharmaceuticals, transportation commodities and business and financial services are the biggest contributors to the outflow of goods and services. Southeast Asia's leading financial hub is behind only London, New York and Hong Kong in the 2017 Global Financial Centres Index. A rare black mark perhaps is unsatisfactory productivity: wage increases are outpacing stagnating productivity at the time of writing, which some economists warn could suppress growth in the long run. Singapore is a founder member of the ASEAN Economic Community, which is negotiating a trade deal – the Regional Comprehensive Economic Partnership – with Australia, China, India, Japan, South Korea and New Zealand. But the 12-nation Trans-Pacific Partnership negotiations, which featured Singapore and would have created a free trade bloc double the size of the EU, has hit the buffers after US President Trump abandoned the deal. At 17% corporate tax is among the lowest in the world, with the worldwide average being 22.5%. And calculated on the company’s chargeable income, the effective tax payable is actually much lower once other government incentives, subsidies and schemes are taken into account. Singapore offers a robust intellectual property regime and ready access to global investors, who are also reassured by a stable political climate. There are also no foreign exchange or currency restrictions on the remittance or repatriation of capital or profits in or out of the country. The Inland Revenue Authority of Singapore provides a detailed list of incentives. Thomson Reuters PRACTICAL LAW has produced an extensive guide to the legalities and tax implications of doing business in Singapore. 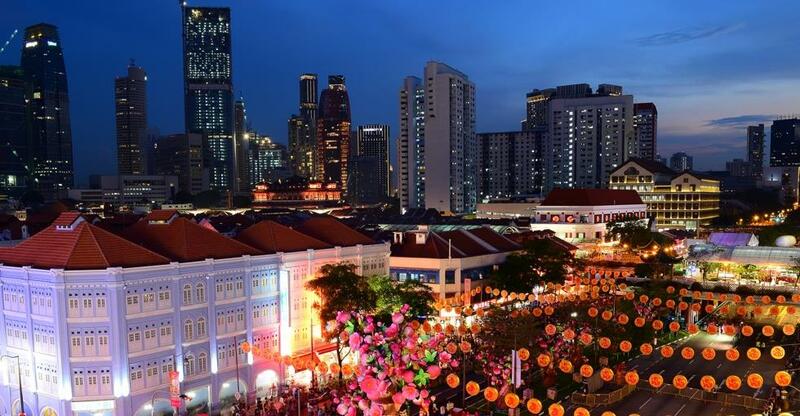 You can intuit from Singapore’s nicknames – ‘Easy Asia’, ‘Garden city’ and the place where ‘East meets West’ – why cultural and lifestyle factors attract investors and entrepreneurs as much as the hospitable business environment. Nearly two-thirds of the population are foreign born and immigrants and short-term residents flock from Asia, Europe, Australia and elsewhere. Alongside Mandarin and Malay, English has become the lingua franca in this multi-ethnic country and most Singaporeans are bilingual. Cultural influences are therefore diverse, resulting for example in an eclectic choice of food options. As well as being famously clean, it boasts a remarkable amount of imaginative green space for one of the world’s most densely populated states. It’s all thanks to Singapore’s first Prime Minister, Lee Kuan Yew. Determined not to let Singapore go the way of Bangkok and Hong Kong, he made the protection of green spaces a priority during his three decades in charge. Singapore came in at number one in the world for city infrastructure and top in Asia for quality of living in Mercer’s Quality of Living Rankings 2017. If Singapore sounds almost utopian, then of course nowhere is perfect. The country ranks an abysmal 151 out of 180 on Reporters Without Borders’ World Press Freedom Index and the government imposes strict restrictions on artistic expression. A former colony of the British Empire, Singapore’s legal system is based on the British common law model and often refers to British case law, though is also influenced by Canadian and Australian case law. While it diverges from the West in terms of political and press freedom, it is ultra-liberal when it comes to economics. It’s no surprise then that the only industries investors are barred from are domestic news and broadcast media. This – along with the fact that English is widely spoken to a high standard – should mean that buying a business needn’t be any more complicated for Western entrepreneurs than if they were doing so in their own country. Writing in the Singapore Business Review, business broker Samuel Yuen recommends that “one avenue to start looking would be the newspapers as some business owners advertise the sale of a business on the newspapers” (perhaps surprisingly given Singaporeans are enthusiastically high tech). Business brokers can also connect you with businesses that meet your criteria. And they can negotiate with the seller on your behalf, independently verify the business’s valuation, advise you during due diligence and help with preparing legal paperwork and disclosing confidential information. Accountants, tax advisers, specialist valuers and lawyers can play a role in determining whether an asking price is fair. Once both parties are ready to begin negotiations, Yuen suggests they should sign a letter of intent – which spells out the ambitions of both parties. Not legally binding, the letter nevertheless provides a useful reference framework should disagreements arise. The letter of intent could include an agreed period of exclusivity, which prevents the seller from entering into negotiations with other parties. The seller may include a confidentiality clause to deter the misuse of confidential information by a prospective buyer. However, your lawyer can make sure this benefits you too by preventing the seller from using knowledge about the business to the benefit of his or her next venture. To this end, you may consider asking the seller to sign a non-compete agreement, which precludes them from competing in the same market for a specified time frame after the sale. Scrutinise the business’s accounts closely with the help of your accountant. Non-compliance or late filings with the Accounting and Corporate Regulatory Authority of Singapore (ACRA) should set alarm bells ringing. Yuen concludes by stressing the importance of putting everything in writing. A contract, unlike a gentleman’s handshake, is enforceable in the court of law, he says. Already own a business in Singapore? Read our guide to selling a business in Singapore.